Welcome to the Firefly Fleet Forums! Welcome to Serenity Station, Home of the Firefly Fleet! If you would like to Join the Fleet, feel free to register in the forum, and introduce yourself. If you would like to join our Role Playing group, also create yourself a character bio and profile in the RP section of the forum! The Firefly Fleet also has use of a Ventrilo Server. 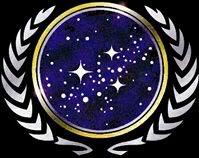 Once you join the fleet and are accepted by the leadership, you will be given access to the Vent info in the forum. What is the Firefly Fleet like? I am Fleet Admiral Baumer of the Firefly Fleet. To answer that question, I have to first explain that we aren't like all of or any of the other fleets. We may have similarities in structure, comradery and upstanding behaivior, but that isn't all that we have to offer. Our goal is to make this fleet a place where everyone can come to at the end of the day and relax. A place where everyone can come and not have to worry about the stuff we have to put up with in real life. In our forums you can play forum games, do some RP chat about whatever, and you can also join us in game on STO. Talk in vent and just have a good time. 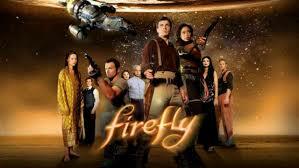 How did the Firefly Fleet Start and do I have to be a Firefly Fan to join? Our beginnings were as a group of people who have at least two things in common, we enjoyed Star Trek, and loved Firefly. Since then, we have adopted the name of the Firefly series out of respect and love for it. Does this mean that all of our members have to like or have even seen Firefly or Serenity? The answer is no. This is, after all, a Federation Fleet! We would love to have you anyway! If you love Star Trek of any kind, then this is probably the place for you! What Character class are you going to use as your primary?